Chance the Rapper has countless amounts of reasons to be celebrating these days. However, as exemplified in his recent Instagram posts, his daughter is at the center of his whole world. Day N Night 2017 | Chance the Rapper reps Chicago with high-energy performance of "Angels"
This weekend, Chance and close family and friends gathered to celebrate his baby girl turning two years old, with the rapper sharing several posts showing off just how much fun they had. "Since my life really began with her, I guess I turn 2 at midnight," Chano captioned one of the photos showing love to his daughter, Kensli. "TURN UPPPP FOR MY DAUGHTER." The rapper also shared a snippet from what looked like an incredibly fun birthday party, with the clip showing him doing a semi-choreographed dance alongside a slew of movie and television characters, including Elmo, a Minion and Elsa from Frozen. 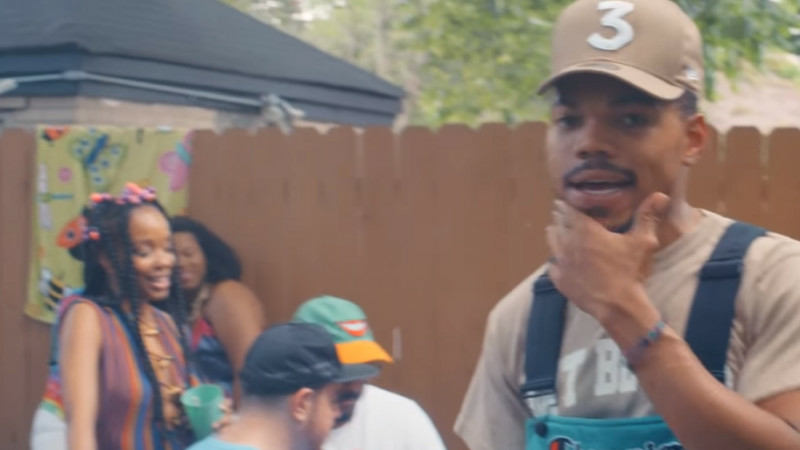 Take a look at footage from the undeniably lit birthday celebration for Chance the Rapper's daughter below.